Driving to the gym this morning, a Red Cross radio commercial promoted emergency tips and ended the spot with “download our app to get instructions for what to do during times of crisis”. I wonder how often (when a house is burning down) someone pulls out their phones, searches for their Red Cross app, and takes the time to read great information to help them. Sounds like the way most treat their Bibles. We have it available to us in case of emergencies. It’s better to be prepared BEFORE an emergency. Good preparation during good, peaceful times. 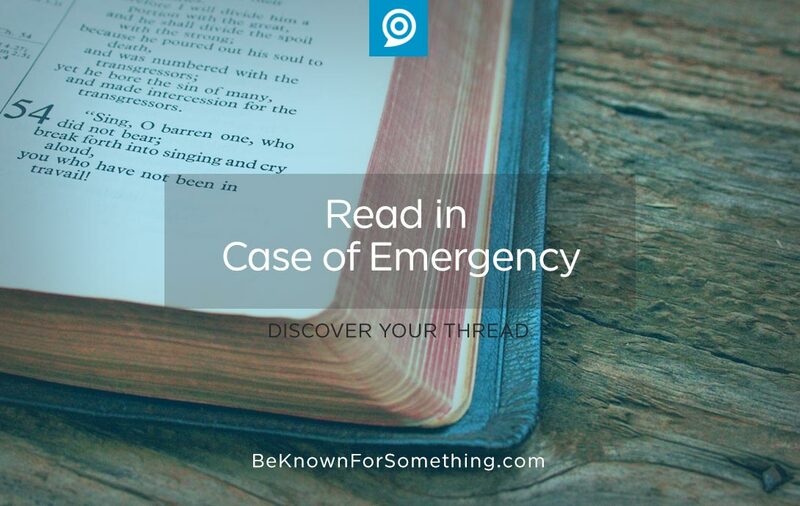 Are you prepared for emergency in your church? 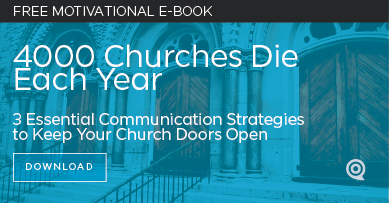 About 4000 churches close their doors annually and 80% have stalled in ministry or are suffering from decline. While many are blissfully moving forward and not preparing for an emergency. Know your ministry’s why. Many believe this is your vision or purpose. Not exactly. They’re part of it but they must be translated into something that is more tangible and memorable. We call it your thread. A short, concise, statement that declares “why” someone attends your church. Not “why” you do ministry. If your congregation understands your thread, they will use that statement to give a compelling reason for their friends to join your ministry. Ensure your thread, your “why”, corresponds with your community’s concerns, pains, and goals. People always seek out solutions to problems and paths to their goals; and more importantly, they’ll give money to sustain it and to spread the word to others. Understand the needs of your community. If your thread is closely tied to your community’s needs (or goals), it’s incredibly important for a church to research and understand their community. Communities are growing while our churches are shrinking. There’s something wrong! We need to get back to the roots of ministry by delivering solutions to our community. “But they don’t want church!” I hear Pastors saying. That’s true. So deliver the solutions packed so they’ll be desired by your secular audience. Attract them with a temporal solution and connect them to the Scarlet Thread of Jesus’s blood (the gospel). Jesus talked about water to attract before making the turn to their ultimate need of spiritual thirst. Establish a communication strategy and process. Effective ministries need to know who they’re trying to reach, what solutions they’re offering, and how to communicate the message. Print materials have lost their impact so a church MUST utilize a professional Digital Hub (web, social, email, etc). Then your process must allow every ministry to get their message across to their audience without establishing ministry silos. Can people find out what’s going on? Now is the time to establish the process; so you can push your message in just the right manner, in just the right time, in just the right place. Let’s not wait for an emergency to become prepared. Already feeling the pressure of an impending emergency? There’s no better time to lay this communication foundation than now.